October 12, 2018. 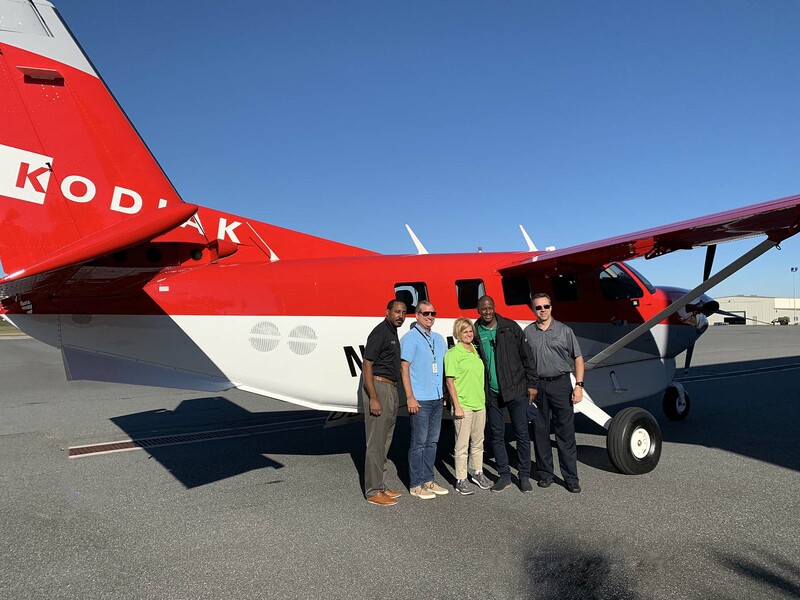 Over the past 24 hours and only a day after Hurricane Michael crashed through the Florida Panhandle, the Quest Aircraft team brought relief supplies into Tallahassee, Florida. 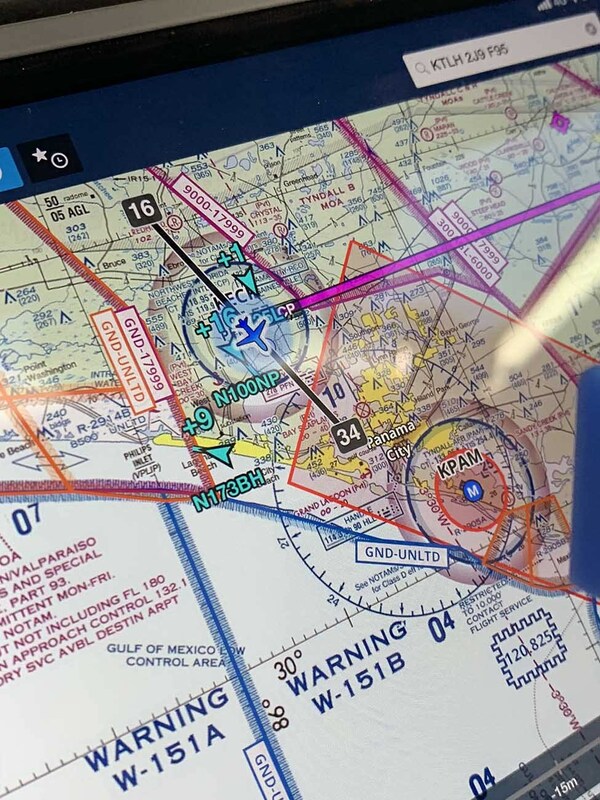 The Quest team was on the way from Sandpoint, Idaho to Orlando, Florida for the NBAA Business Aviation Expo. 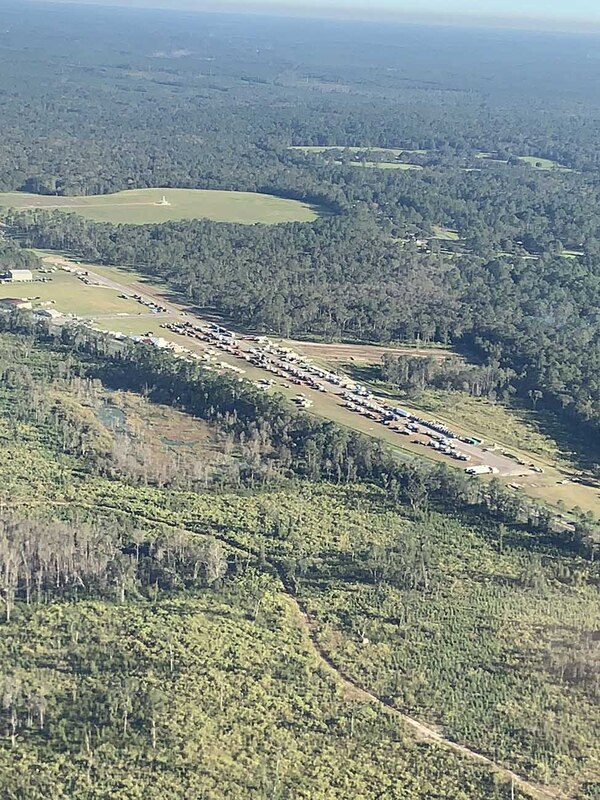 Knowing they had to fly through northern Florida, they wanted to find some way to help. 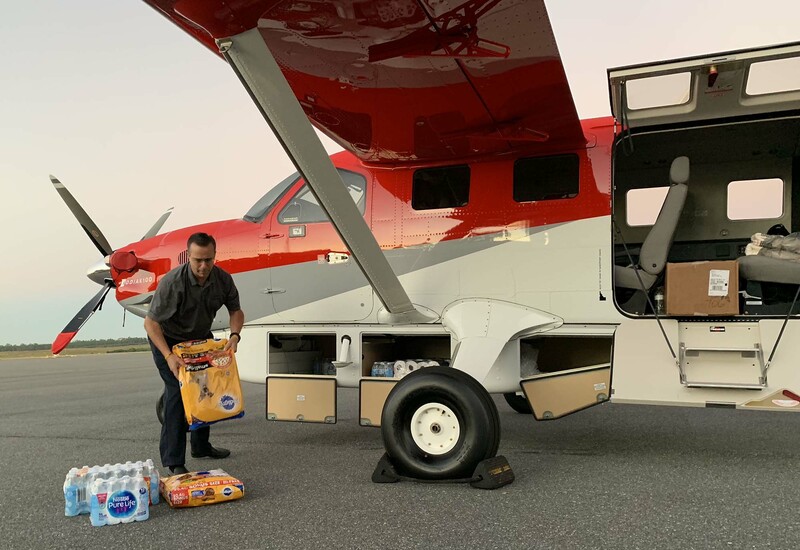 The Kodiak hauled in hundreds of pounds of water, towels, blankets, and dog food – items which were requested by the organizations on the ground – to help with shortages currently faced by shelters in the hardest hit areas. Florida State Representative Loranne Ausley with John Hunt and three others in Tallahassee on the way to Panama City. Chief Demo Pilot, Mark Brown, is taking the picture. On Friday morning, The Kodiak took the Mayor of Tallahassee (and Florida Gubernatorial candidate) Andrew Gillum, State of Florida District 9 Representative Loranne Ausley, State of Florida District 8 Representative Ramon Alexander, Mayor Gillum’s Chief of Staff, and Danny Langston (CEO) Flightline Group, Inc. on a survey flight around the city and surrounding counties, so they could see the destruction for themselves and help direct disaster relief efforts. Observing the destruction from the air is vital for the emergency responders on the ground. 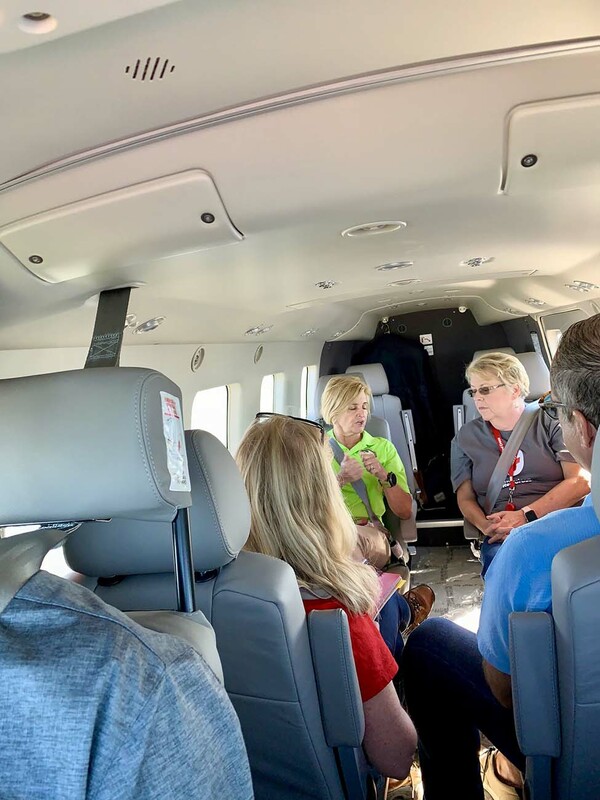 The Kodiak team also flew Anna Trefethen, Red Cross Division Vice President, and Sharon Tyler, Executive Director of the Capital Area Chapter of the Red Cross, from Tallahassee to Panama City to expedite the time they’d have on the ground in the worse hit areas. 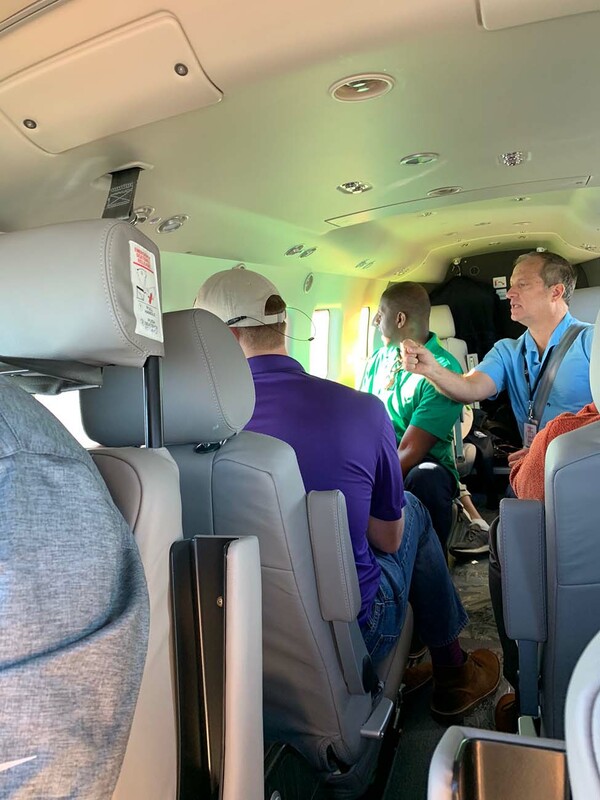 Quest would like to thank Muncie Aviation for allowing us to use their plane for this operation. The Quest Kodiak was originally built for heavy duty backcountry work. 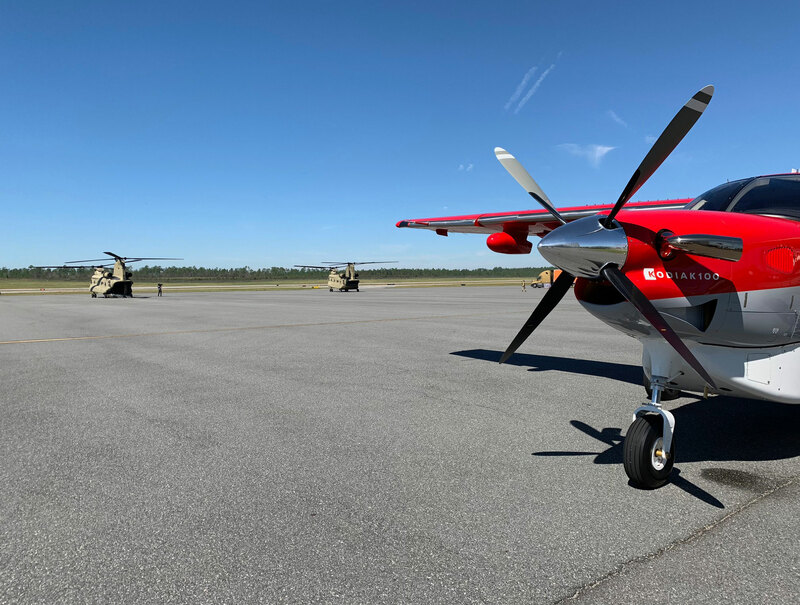 Aiding in disaster relief comes easily to this versatile aircraft.